Brie Larson’s “Captain Marvel” is soaring to a heroic opening weekend of $153 million in North America at 4 310 sites, reviving what had been a slumbering 2019 box office. “Captain Marvel” took in $302 million internationally, giving it an estimated global opening weekend of $455 million, the sixth highest global debut of all time. The 21st installment of Disney’s Marvel Cinematic Universe propelled total domestic movie going to $210 million, nearly $70 million above the same frame last year. It was the first weekend of 2019 to outperform the same frame of 2018. “Captain Marvel” will wind up with the 18th biggest domestic opening weekend of all time. Disney’s “Rogue One: A Star Wars Story” has the 17th-highest launch frame with $155.1 million in 2016. It will be the biggest opening title since “Incredibles 2” launched with $182 million in June and should post the best start for a standalone superhero film since Marvel’s “Black Panther” launched with $202 million in 2018. “Captain Marvel” performed well above studio projections, which had pegged the film at $125 million. It took in nearly triple what had been the biggest opener of the year with “How to Train Your Dragon: The Hidden World” at $55 million on 22-24 February. Total domestic box office for 2019, which had plunged by 27 % before the weekend, is now down 21 percent at $1.79 billion, according to Comscore’s Paul Dergarabedian, senior media analyst. “Captain Marvel” landed an A CinemaScore. Comscore/Screen Engine’s PostTrak survey of audiences resulted in an 81 % total positive score with a strong 66% of audiences saying they would “definitely recommend” the film. Universal’s third weekend of “How to Train Your Dragon: The Hidden World” led the rest of the pack with $14.7 million at 4,402 locations for a 17-day domestic total of $119.7 million. The second weekend of “Tyler Perry’s A Madea Family Funeral” followed with $12.1 million at 2 442 venues. 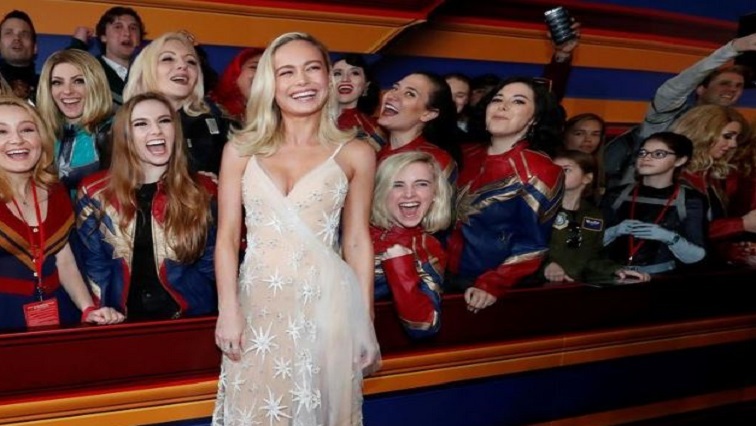 The post ‘Captain Marvel’ soars to $153 million launch appeared first on SABC News – Breaking news, special reports, world, business, sport coverage of all South African current events. Africa's news leader..